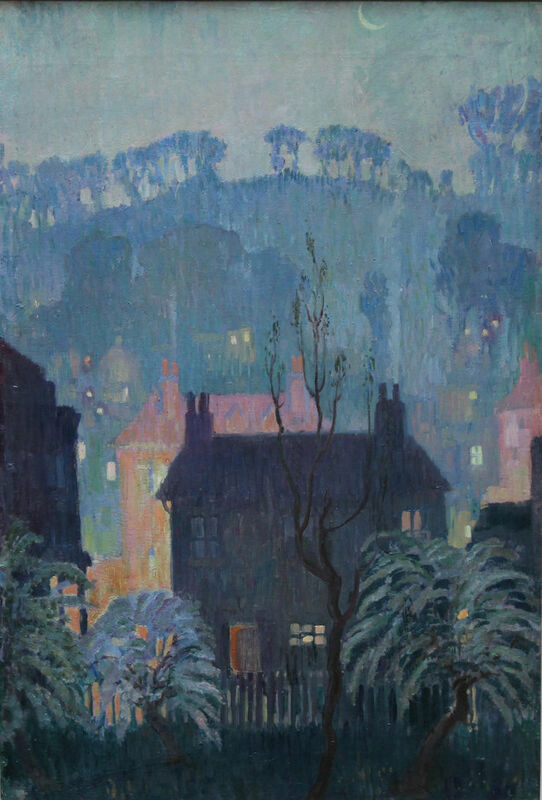 Impressionist landscape nocturne of of an English village at dusk with a crepuscular moon by Adrian Paul Allinson. It is a vibrant Posy Impressionist evening scene. Lovely colouring. 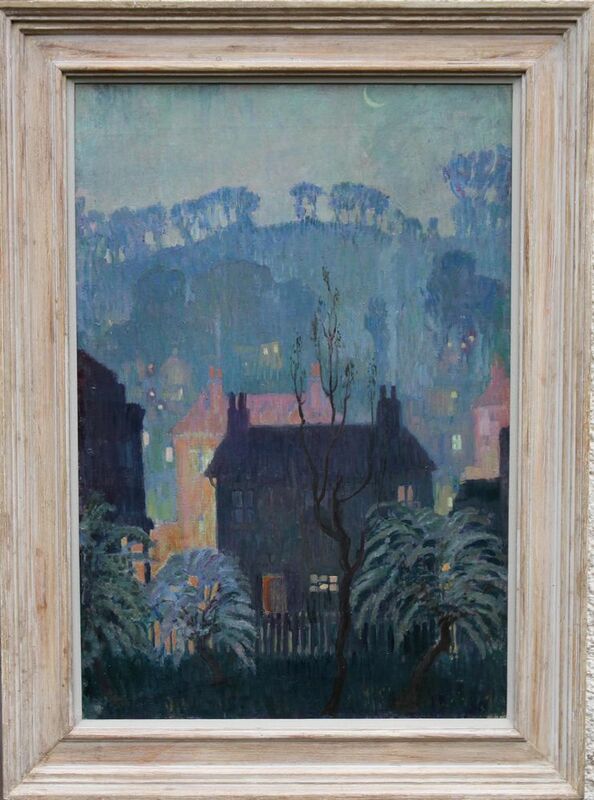 A fine example of early 20th century Modern British impressionism with a fantastic view. It is a large oil on canvas and dates to circa 1925. A fine gallery Bourlet frame 37 inches by 27 inches. Adrian Paul Allinson (1890-1959) was born in London in 1890 and was the son of a miller and exponent of alternative medicine. He was educated at the Slade School of Fine Art, 1910-1912 and also in Munich and Paris circa 1913. During his studies Allison worked alongside international artists such as Christopher Nevinson and Stanley Spencer under Professor Tonks. He received acclaim for his technical excellence and individuality, exhibiting with the London group between the wars in 1914. Other members included Sickert and Pissarro. During the First World War he drew characters for the Daily Express and later his work was commissioned for British Railway posters.